The central dogma of molecular biology posits that genes are transcribed into messenger RNA (mRNA), which is then translated into proteins, which, in turn, are ultimately responsible for all cellular functions. 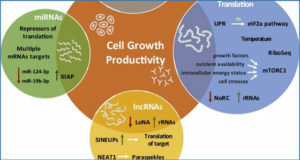 Yet recent research has revealed that RNAs that do not encode proteins — known as noncoding RNAs — play important roles in normal physiological processes and can contribute to human diseases such as cancer. In fact, only approximately 1.5% of the roughly 3 billion base pairs of DNA in the human genome represent protein-coding sequence, whereas a large majority of human DNA is detectably transcribed into RNA under some conditions. These findings have raised the possibility that noncoding RNAs represent an untapped reservoir of potential therapeutic targets for diverse diseases. 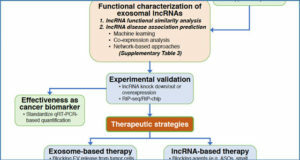 Nevertheless, few definitive studies involving animals that robustly model human disease have shown therapeutically beneficial effects resulting from pharmacologic inhibition of a noncoding RNA. 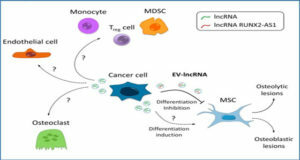 Results recently described by Arun and colleagues, however, provide an exciting example of the potential of noncoding RNAs as therapeutic targets in the treatment of breast cancer. Moreover, the experimental strategy that they used could be broadly applicable to the treatment of many human diseases. 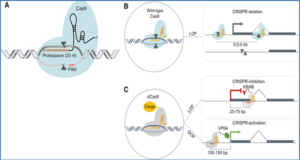 A heterogeneous class of noncoding RNAs known as long noncoding RNAs (lncRNAs) — defined simply by having a length exceeding 200 nucleotides — has been the subject of recent and intensive study. One of the first human lncRNAs to be discovered was identified because of its high expression in metastatic lung cancer cells, as compared with nonmetastatic lung cancer cells. Named metastasis-associated lung adenocarcinoma transcript 1 (MALAT1), its elevated expression has subsequently been associated with metastasis and reduced survival in patients with multiple tumor types. In human cancer cells grown in the laboratory, MALAT1 inhibition results in reductions in cell proliferation, survival, migration, and invasive capacity, as well as in reduced metastasis when the cells are implanted into immunocompromised mice. Surprisingly, however, mice harboring a complete deletion of Malat1 develop normally and have a normal life span, which indicates that this lncRNA is dispensable outside the context of cancer. These findings raise the possibility that inhibition of MALAT1 might impair cancer-cell growth, metastasis, or both, with minimal side effects. 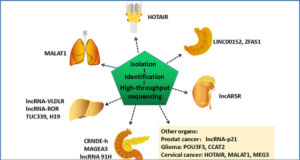 In a mouse model of metastatic luminal B breast cancer, the long noncoding RNA (lncRNA) Malat1 is abundantly expressed in tumors (Panel A). 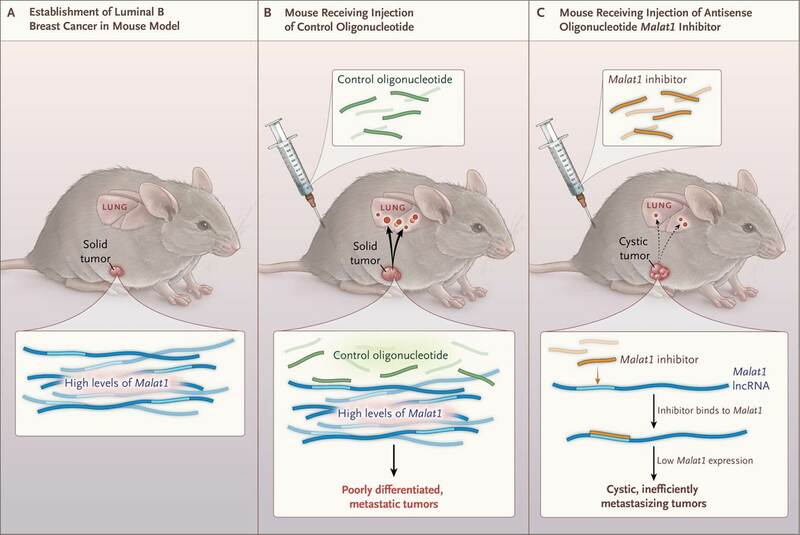 Subcutaneous injection of control oligonucleotides into these mice after tumors form has no effect on Malat1 expression, resulting in the development of poorly differentiated cancers that efficiently metastasize to the lung (Panel B). Subcutaneous injection of antisense inhibitors that reduce Malat1 levels in cancer cells results in the formation of cystic, poorly metastasizing tumors (Panel C). 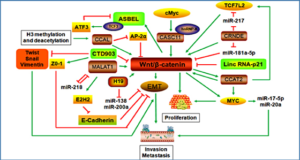 Because MALAT1 expression is also elevated in metastases in human breast cancer, these findings support the clinical investigation of anti-MALAT1 therapies for this cancer.